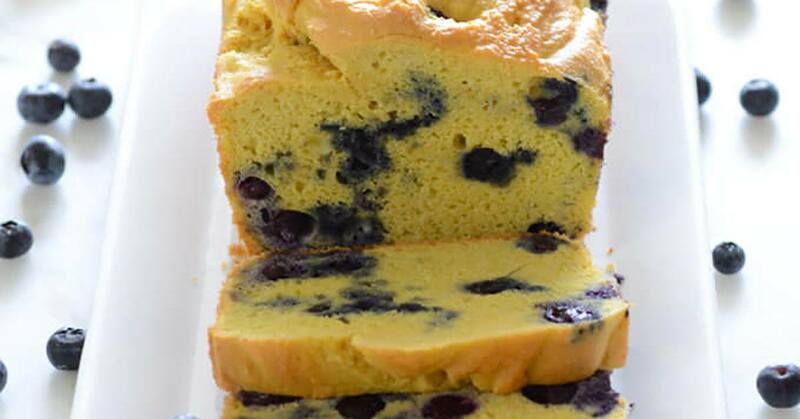 This Keto Blueberry Lemon Bread is one of the easiest you can make in your own home. If you avoid sugar, maple syrup, honey, and similar sweeteners, it’ll be your perfect substitute for dessert. Here’s everything you need to know about baking a delicious Keto Blueberry Lemon Bread. It’s close to effortless. Put egg white protein powder, almond flour, baking soda, cream of tartar, and salt in a food processor and pulse. Then, pulse in lemon zest, eggs, and stevia until you get a very smooth batter. Add blueberries. Grease a 9×5 inch loaf pan/dish and transfer the batter into it. Bake at 350F for around 50 minutes. Allow the bread to cool for two hours, and remove from pan. Slice and serve. Toast and top this bread with butter, and you’ll get even more delicious bread. It’s great for dunking in your coffee as well. Let your delicious bread cool overnight before wrapping it in a paper towel and putting it in a Ziploc bag. If you store your Keto Blueberry Lemon Bread in this way and keep it in the fridge, you’ll have it for a week.